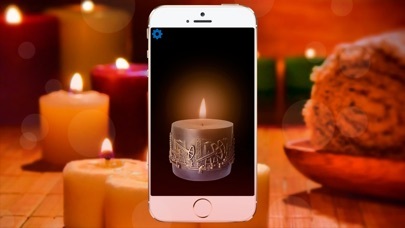 Candle, this application allows you to hold a candle in your hand without the risk of burn yourself with wax or burning flame. A large selection of candles and a beautiful flame will allow you to create atmosphere of comfort and warmth in any situation. Candle is not only beautiful, but also useful application with many uses in life. Light the pages of your favorite book in the dark, look for lost keys in the dark, add an atmosphere of warmth and comfort to the Christmas ceremony by candlelight, walk along Creepy corridors with maximum determination, keep the candle on concerts. Use candles to light your way, add a romantic atmosphere, or just to enjoy beautiful and safe fire. Fire will not cause harm, and the candle will always light your way. Enjoy the benefits of candles without dripping wax and the risk of burning your stuff. Candle allows you to touch the wick of a candle to light or extinguish a glowing flame. Tilt the display and see how the flame follows your movement. You can forget that this is not a real candle! 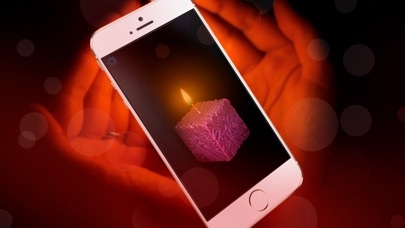 Extinguish the candle by blowing into the phone's microphone. 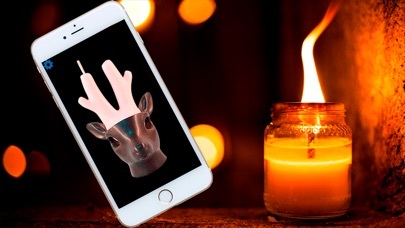 Download the candle simulator to your phone, because a candle in your pocket is a great guide to the darkness.